My husband, Pat, and I were at a church rummage sale recently. It was one of the first nice days we’ve had here in Northern IL after a seriously long and never-ending winter! And as an added bonus both kids were in school, so it allowed me time to browse and lose myself in the all the vintage items they had for sale. Anyway, I stumbled upon a treasure trove of vintage cookbooks! I love cookbooks. Looking through the pages makes me think about what life must have been like back in the 40’s, 50’s and even the 60’s. It all seems so much simpler than today. I found a little cookbook called “Food For The Body And Soul” copyright date of June 1947. Flipping through the pages I found not just recipes, but little poems, scripture verses, rules for your children, and much more. Everything a “perfect” housewife and mother would need to raise her family and keep them well fed. Even the first picture in the book is fabulous! From her simple, neat dress to her simple and clean kitchen. 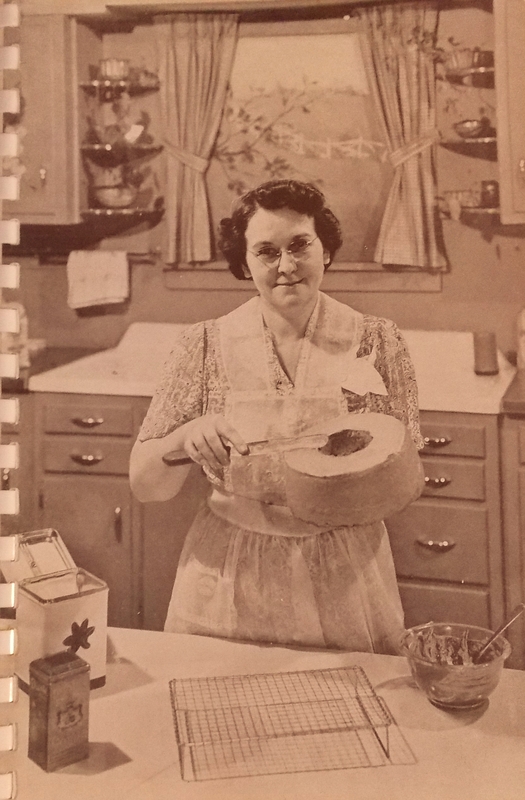 Mrs. Frances Youngren – Director of WMBI Home Hour WMBI Home Hour was a radio program on the Moody Bible Radio Station. Mrs. Youngren was the director of Women’s Studies at the Moody Bible College. Combine ingredients and serve with the shrimp in cocktail cups, using a wedge of lemon for garnish. 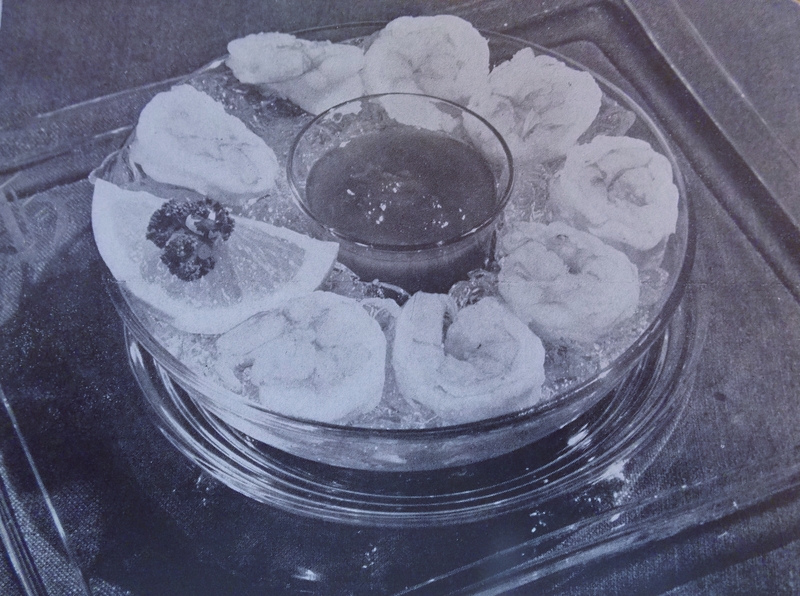 Or, arrange the shrimp on lettuce leaves, on individual serving plates, using the cocktail sauce for topping. While a fairly common recipe its great for any party or get together and serving seafood always adds a touch of sophistication! You can find great vintage serving dishes and accessories at www.stonecreekboutique.com to help complete your retro party look!